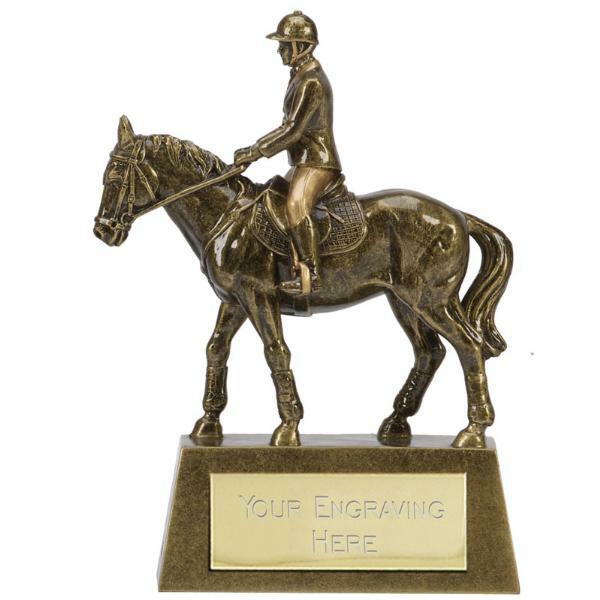 This is an engraved Horse and Rider trophy which can be personalised for the horses and riders in your event. The Hamble horse and rider trophy is 12.5cm high, and is also available in a larger size of 16.5cm. The price for the horse and rider trophy includes up to 50 characters engraved free, with additional letters charged at 15p a letter. The postage rate for the engraved Horse and Rider Trophy is band B. This horse trophy has been discontinued, please contact us for an alternative.